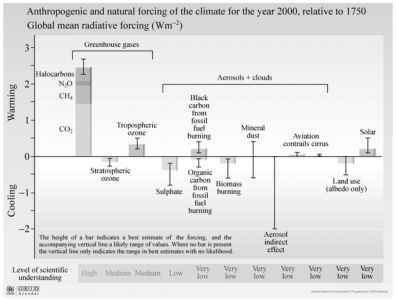 As described above, environmental effects resulting from UV radiation exposure do exist; however, several effects are also produced by the environmental components on the solar UV flux during its passage through the atmosphere. The presence of numerous substances, components (e.g., NO2, SO2), and aerosol particles due to fire, air pollution, dust, etc. (Fig. 4.9), modifies UV diffusion and scattering, creating measurement, sampling, and modeling problems. The presence of clouds in the sky is one of the very important factors (Rafanelli et al., 2002) that affect radiation measurements at ground level (Rafanelli, 2001). Clear sky conditions are essential for the calibration of broadband or multi-filter radiometers (those with moderately wide, pass-band filters). The calibration is performed with clear sky conditions to obtain isotropic diffusion of radiation in the atmosphere. The same conditions are repeatable at every calibration. With the presence of clouds, the isotropic condition fails because the transmission through the layers is no longer isotropic, and selective wavelength absorption is produced. Therefore, different positions of clouds produce different effects on the global dose measured. The shape of the spectral window of the pass-band filters used in the instruments does not have a box contour as is theoretically required. As a result, the clouds modify the response of the instrument, make radiometer calibration unreliable, and thus, their data is not completely reliable. Alternatively, with the use of spectral instruments, the clouds are not influential due to the narrow window in each wavelength. weather conditions, often present at high latitudes, does not allow for frequent use of this technique. 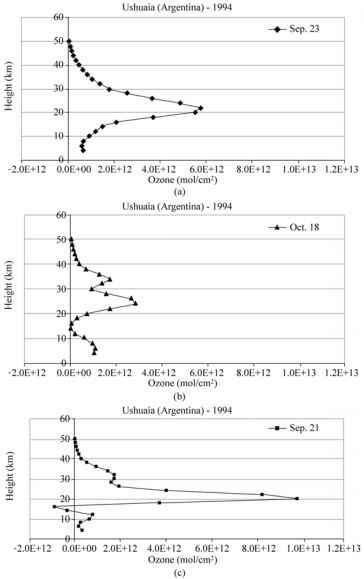 This is unfortunate since it would be very beneficial to have such a simple and inexpensive method in place for measuring vertical profiles in remote regions (Rafanelli et al., 1998). Currently, cloud cover is only studied for meteorological reasons, yet its linkage with solar radiation is also important (Moriconi et al., 1998; Simic et al., 2007). 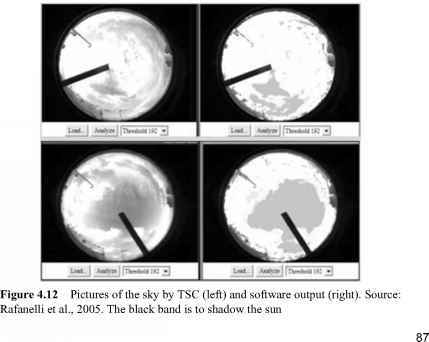 A prototype of a Total Sky Camera (TSC) is shown in Fig. 4.11 (Rafanelli et al., 2001). The pictures of the sky and the digitized output are depicted in Fig. 4.12 (Rafanelli et al., 2005). This system, in conjunction with hardware and software, can evaluate the coverage and localization of clouds related to the sun's position. 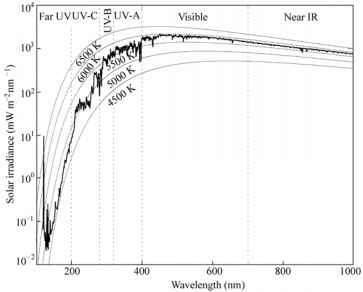 Studies of cloud effects on UV are possible by synchronizing the shooting with the solar UV spectra. For example, the ratio 305/380 nm vs. PAR (Photosynthetically Active Radiation), sampled with a multi-channel radiometer, is shown in Fig. 4.13. In clear sky conditions, the trend follows the solar zenith angle (SZA), while in cloudy conditions, there is no pattern (Rafanelli et al., 2006). 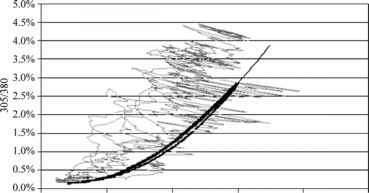 It is possible to model the cloud effect, producing a long time series of spectra and corresponding images.